FORT BRAGG, N.C. — Former Navy SEAL James Hatch, whose career as a commando ended when he was shot while searching for Bowe Bergdahl, said his feelings toward the Army sergeant have gone from “I would like to kill him” to thanking the soldier’s lead attorney for working so hard to defend him. Hatch, who testified this week at Bergdahl’s sentencing hearing on charges he endangered comrades by leaving his post in Afghanistan in 2009, has had eight years to think about the nighttime raid that ended with insurgent AK-47 spray ripping through his leg. Sent home, he sank into a depression he nearly didn’t survive. 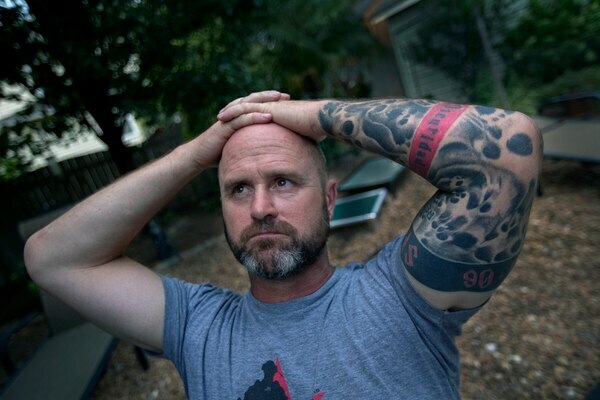 Through therapy, charity work with dogs and a cathartic book-writing process, his thinking has evolved on more than a few things — including Bergdahl’s fate. In an interview with The Associated Press, the retired senior chief petty officer said he’s still angry at Bergdahl but doesn’t envy the military judge who must decide his punishment after sentencing resumes Monday. “It has gone from ‘I would like to kill him’ to ‘he should go to jail forever,’ to where I’m at now, which is far more peaceful. Having spoken to others who are aware of more of the details of his walking off, and his treatment once he was captured, I am very happy that I do not have to choose what happens to him,” Hatch said. Still, he said, it’s important that Bergdahl not receive an honorable discharge. “The most important thing to me personally is that I would hope that he would be dishonorably discharged, and therefore ineligible for the benefits that veterans that have served with honor are eligible for,” Hatch said. Hatch said he wants Bergdahl to have a fair hearing, and appreciates the hard work of all involved — even the defense. He had a cordial encounter with Bergdahl’s lead attorney, Eugene Fidell, at breakfast in the hotel where both were staying this week. “How can you hate a guy like that?” Hatch said. During testimony, Hatch spoke stoically about his own wound during a July 2009 search mission and the 18 surgeries he’s had. But he cried when discussing the military dog, Remco, who died in the same barrage of gunfire. Hatch credits the dog’s handler, another member of his team, with helping to save his life. Another military dog, Spike, is the namesake of a nonprofit group Hatch started to support military and law enforcement canines. Hatch was Spike’s handler when that dog died on a mission in Iraq. 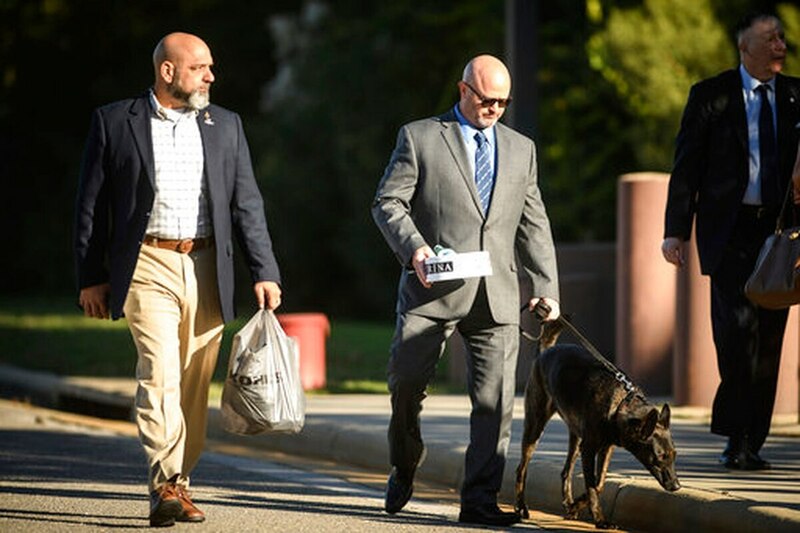 Hatch, now 50, said the inspiration for Spike’s K9 Fund came out of a dark time in the months after he returned wounded from the 2009 mission to find Bergdahl. Police in Norfolk, Virginia were called to his house because he was suicidal and “acting a fool with a gun,” he said. Officers called men Hatch had served with, who helped get him treated for depression. As a thank you, he helped raise money for the care of a police dog. Now, his charity — which he refers to as “my purpose”— also helps with medical expenses for families who take in retired military dogs.